Green City Growers is a worker-owned hydroponic greenhouse in Cleveland, Ohio, part of the Evergreen Cooperatives initiative. Worker-owned cooperatives are companies owned and managed by their workers. Instead of a traditional vertical business hierarchy with a boss at the top and workers below, worker-owned co-ops are horizontally-organized, with workers sharing responsibility and profits with their peers. While successful models like the Mondragon in Spain and Emilia Romagna in Italy are widely known, newer co-ops such as the Evergreen Cooperative in Cleveland are helping catalyze a new movement in the U.S. to democratize local and state economies. According to Democracy at Work Institute, there are currently about 325 worker cooperatives in the U.S. employing over 6,000 workers and generating nearly $400 million in revenue annually in businesses ranging from manufacturing to food service, green energy and home health care. 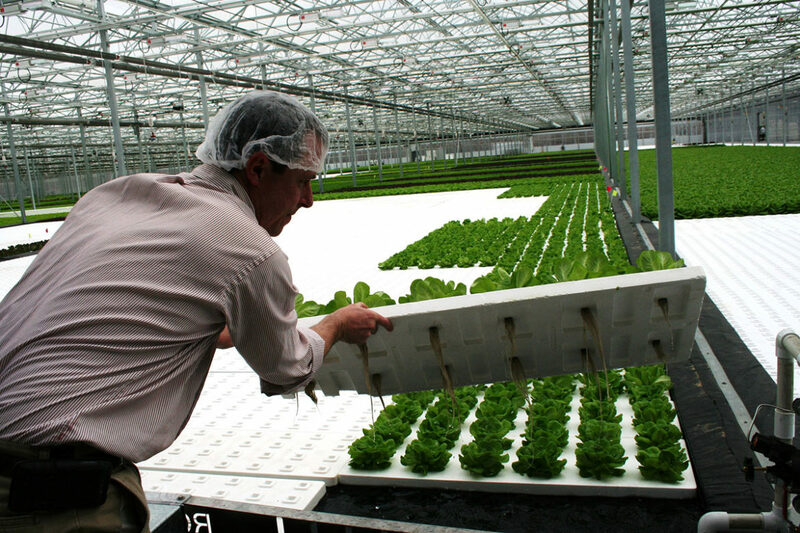 Evergreen Cooperatives, inspired by Mondragon and comprised of a laundry, solar energy company, and greenhouse farm, earned $6.3 million in revenue in 2016. In sectors where women and people of color commonly receive lower wages and fewer promotions than white men, worker-owned co-ops push against inequality and economic injustice by paying workers more equitably and employing higher percentages of females and non-whites than an average businesses does. Despite such benefits, worker-owned cooperatives have been slow to develop in Illinois. It would be worth accelerating this growth, particularly in economically distressed areas and in communities of color. Co-ops provide workers with a stake in their own futures: participation in decision-making, debate and deliberation, reflection and consensus—real economic democracy and sharing of profits instead of hoarding of profits by a few individuals. In a new digital economy that requires fewer and fewer workers, worker ownership can provide a measure of job security against technological unemployment. Clarify legal status: Illinois’ 2016 co-op law does not provide for co-op workers to be treated both as employees and owners. Some co-ops get around this by forming as LLCs or S-corps. New Era Windows and Salsedo Press are two Chicago worker-owned co-ops that went this route. But the failure to adopt a clear law that encourages workers as owners creates an unnecessary barrier. Better health benefits: Worker-owned cooperatives have been slow to create health care benefits comparable to sole or partnership-based corporations. This is doubly problematic because health care is a human right and should be built into every business. Choose high-wage sectors: Co-op creators must build businesses in sectors that produce high wages. It’s not a coincidence that both Mondragon and Emilia Romagna are primarily manufacturing-based. Employees in advanced manufacturing jobs earn an average of $70,000 per year. Construction also yields higher than average wages. Both industries offer transformative opportunities. The goal should be to build worker-owned cooperatives in fields that catalyze growth in other sectors vital to community and civic life such as health, information technology, finance, transportation and retail. Better data: Measuring worker-owner impact is challenging because of inconsistent reporting and noncompliance across the country. A campaign of education and social marketing is in order. Because of its historically tough political and economic environment for people of color, Chicago remains an ideal place to see gains through the establishment and growth of worker-owned co-ops. The productivity of the city’s minority workforce has long been frustrated by political malfeasance, lack of inclusion, violence and racism. Chicago should join the Imagined Economy Project list of cities. By creating and sustaining community owned cooperatives, we’ll live up to our international and historic reputation as a place for cutting edge economic development, community organization and entrepreneurship, and innovation among women and people of color. In the months and years to come you will hear about efforts to have Illinois legally recognize worker-owned businesses. Support this effort. You will also hear about efforts by coops to purchase manufacturing businesses. Seek to know more. And you’ll hear about creative young practitioners, organizers and innovative private and public sector leaders showing the way to a more democratic and shared stake in the economy for all of us. Challenge and encourage them. Correction: This story has been updated to clarify the legal status of worker-owned cooperatives in Illinois and to correct an earlier headline indicating that worker-owned cooperatives do not exist in Chicago. G. Sequane Lawrence is a Chicago non-profit executive and 2011 Chicago Community Trust Fellow researching efficacy of worker-owner cooperatives as an entrepreneurial, business development, and workforce development model for low-income people.